Festival of Talents 2017: Dreams May Come True! 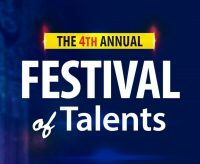 The 4th Annual Festival of Talents is now open! The winners of the «Best in Profession 2016»!